My goodness, Sandra! So this is why you've been offline! Good work. I love the old world Santa fabric, and cheers to an original design, too. Bella needed that huge tuffet, I'm sure, to keep her eye on things. Keep up the progress, and thank you for linking up to the Pet Project Show. 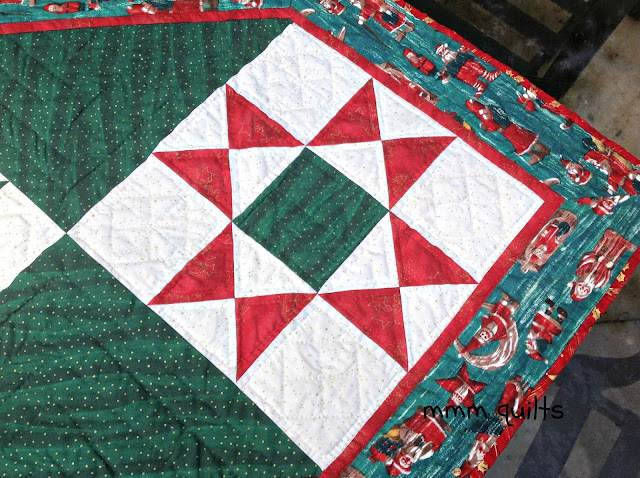 I really like the Christmas runner, those are some of my favorite blocks, so classic. Your GST quilt looks awesome on your bed! Congratulations on finishing up an old WIP - does it feel good to have it finished?! 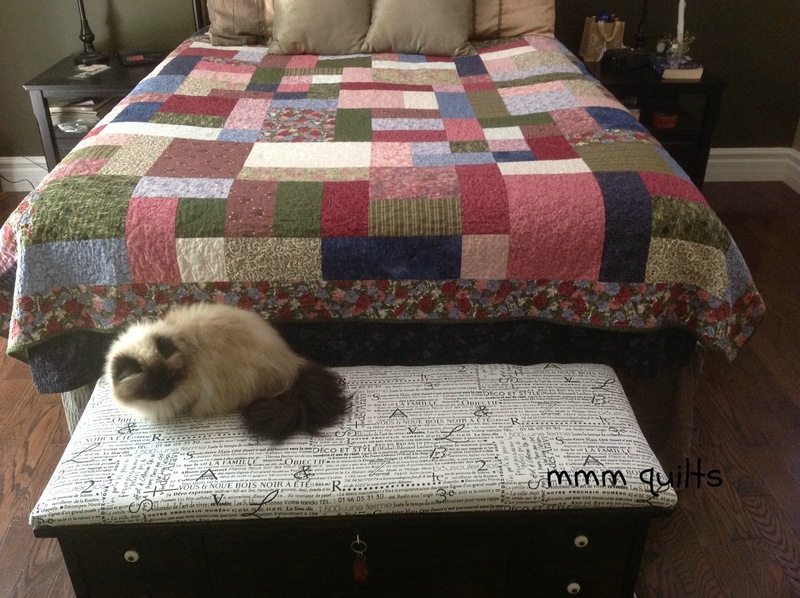 The recovering on your chest looks great, too, especially with Bella and Summer Scents Mosaic in the background, too. What a fun post! It feel so good to get the projects finished, doesn't it? 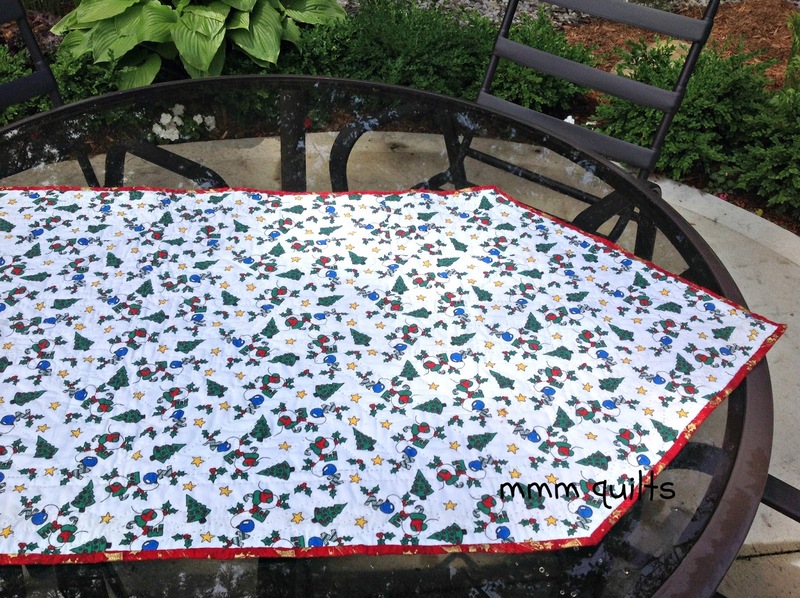 And now when the holidays roll around, which seems to happen faster with each year, you will have something new for your table. Perfect! 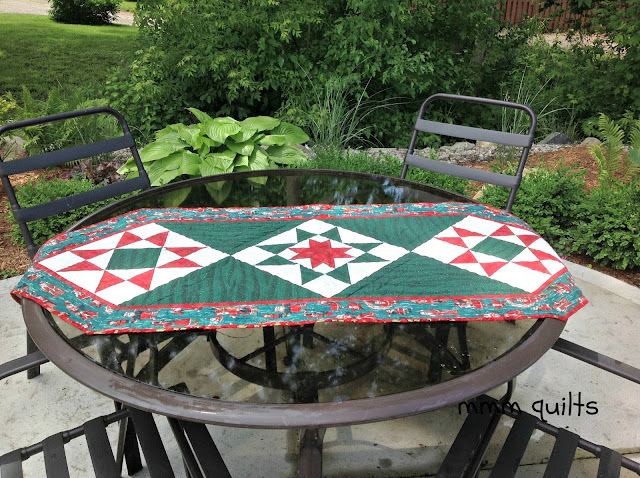 The cover for the Hope chest is wonderful and looks great with your new quilt bend it. Well done! The runner is amazing, and to think it's all done by hand? Wow! The cover on the hope chest looks fantastic! Looks like Bella approves! It sure is hard to believe that the new millennium was already 15 years ago! I love to bring up at every opportunity the fact that not only did I have my kids in different decades, they are also born in two different centuries and two different millenniums! That makes me sound like a dinosaur but there it is! How beautiful - and I love that all of the stars are different! 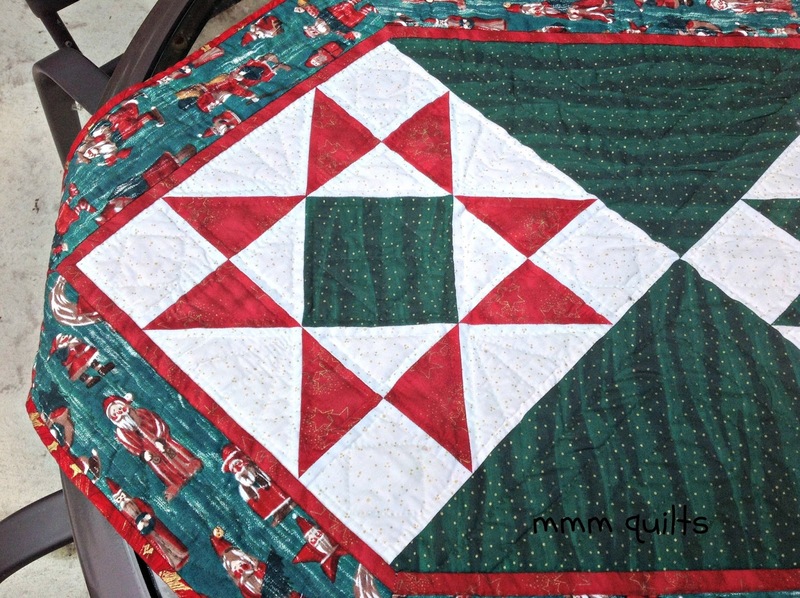 Very impressed that you hand quilted the whole thing. 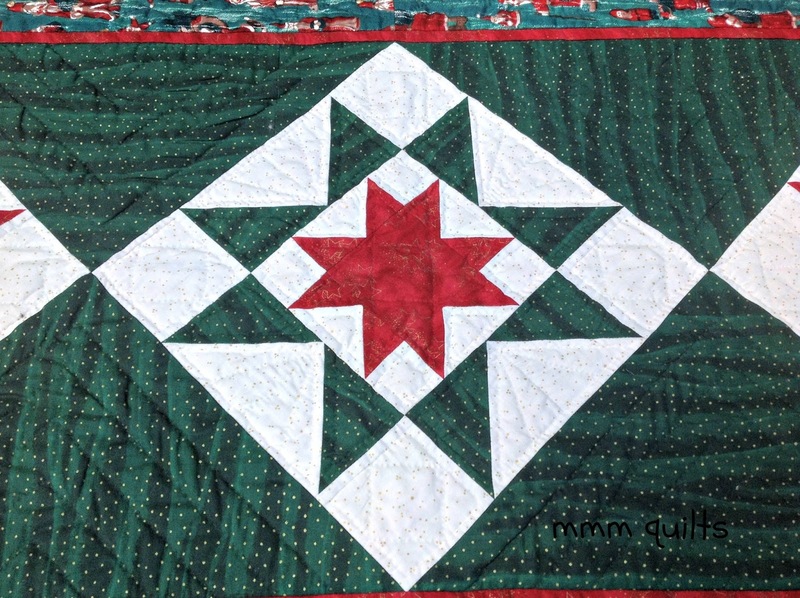 How are you liking the hand quilting as compared to machine quilting? 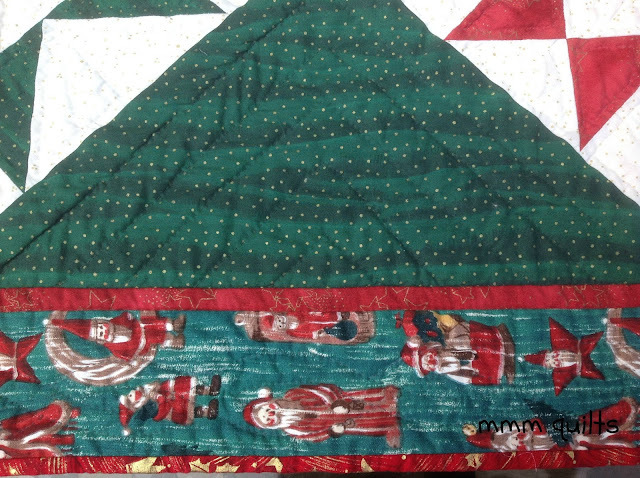 Your Christmas runner fits right in with today's tastes Sandra - very nice design too! 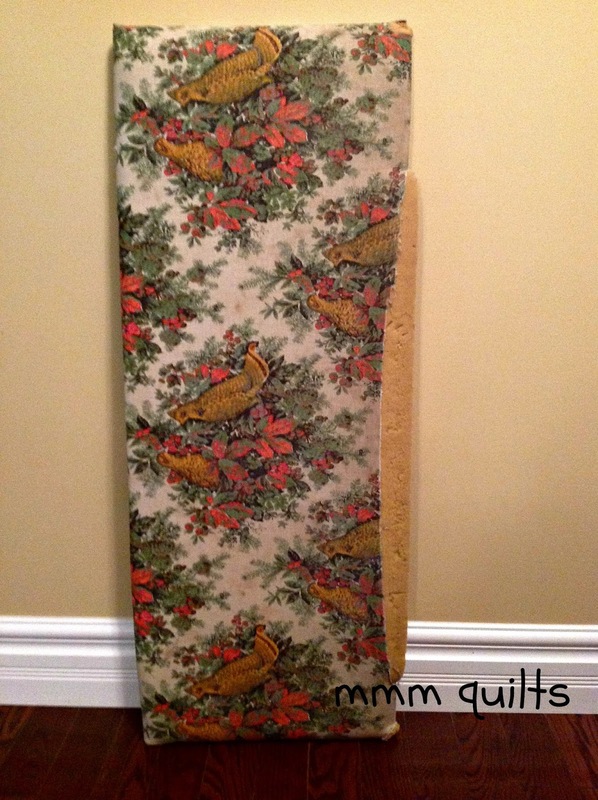 What a major improvement for the fabric on your cedar chest! Summer scents looks beautiful on your bed. Nice to know how comfy it turned out. Great projects Sandra. 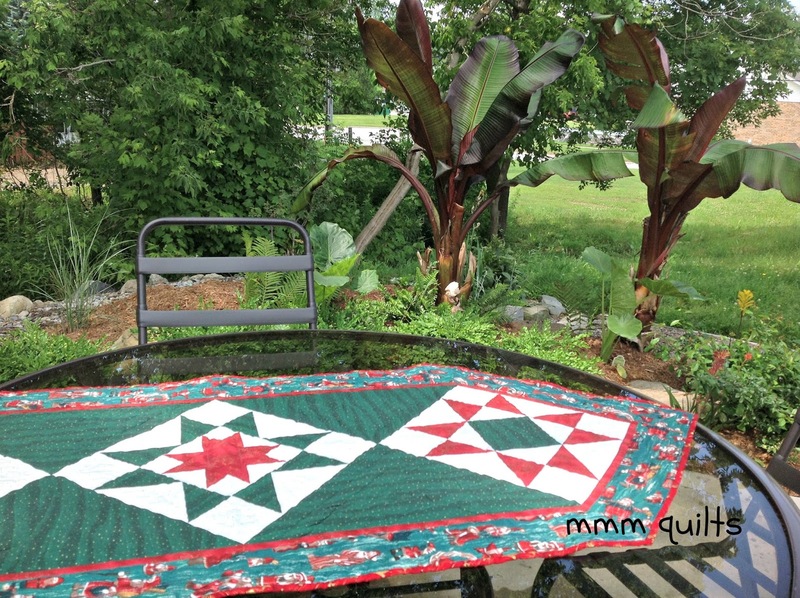 Isn't hand quilting great....as long as the project isn't too big or that you're not in a hurry to be finished. I really love your cedar chest. It looks really good! Great finish, and it's so nice to see such a lovely project done after so long in the cupboard. I'm helping Adrianne with the FAL and I am to say that I am visiting as part of the 2015 FAL Cheerleading Team. 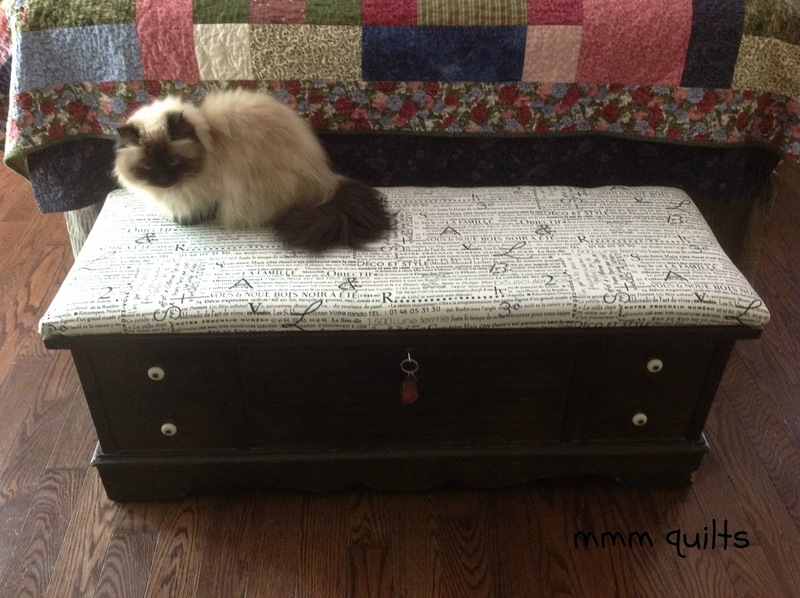 I got a cedar chest from my parents when I was 18 too. My dad made mine. I think that was a thing back in the day, but I don't think kids today get them. Probably a "hope chest" is no longer politically correct. Hmph!